A recent review of the national curriculum for Wales has called for a radical reimagining of how curriculum is to be conceptualised, enacted and assessed (Welsh Government, 2015). Currently, citizenship education in Wales is philosophically framed by the Curriculum Cymreig, an initiative to develop a “Welsh ethos” in schools in Wales and delivered through the Personal and Social Education (PSE) and Education for Sustainable Development and Global Citizenship curricula (ESDGC). Analyses of the Curriculum Cymreig suggest it promotes discourses of “cultural citizenship” (Andrews & Lewis, 2000) and citizenship as “communal” rather than “civic” practice (Andrews & Mycock, 2007). The findings my own critical analysis of the discourses promoted in the document Developing the Curriculum Cymreig, suggest the aims and goals of the curricular initiative are primarily concerned with promoting and representing the legitimacy of Wales as a global nation to pupils rather than philosophical considerations of cultural and national identity, and the intersectionality of these concepts with matters of citizenship and civic action in local, national and international contexts. In Wales, ESDGC is not a discrete, curricular subject. 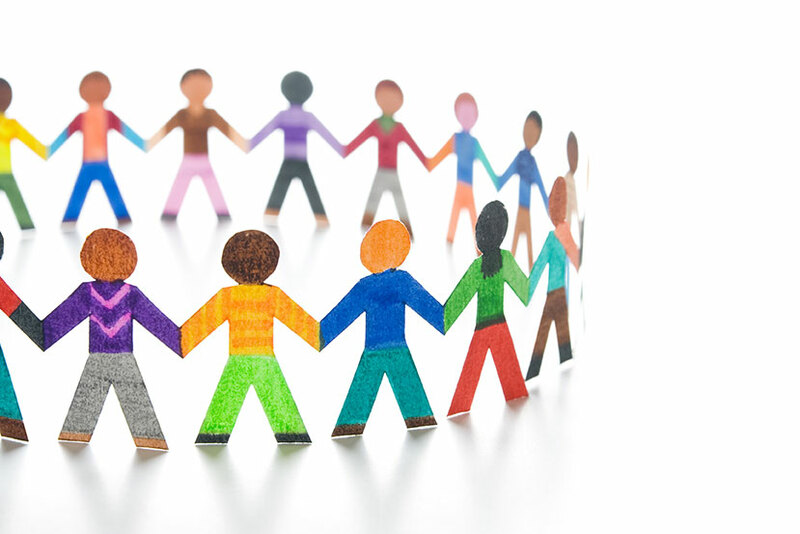 Guidance for educators in Wales suggests it should exist as an ethos within the school environment, and ESTYN, the school inspectorate for Wales, supports this position through its own supplementary guidance on how to best promote ESDGC in schools. This guidance includes an emphasis on extra-curricular activities, the pedagogical, instructional and even management processes and activities of the school and the school’s relationships with community stakeholders. In the classroom, concepts of citizenship compete with other elements within the PSE curriculum, and while the ESDGC ethos may promote themes of globalisation and citizenship through a cross-curricular approach, there are few specific, distinctive calls for conversations and dialectical discussions of national and cultural identity or local and global treatment of citizenship in the classroom. While organisations like the Five Nations Network work with educators in promoting citizenship in schools, considering the continuing process of devolution in Wales and the disenfranchisement of many people from the political process in Britain overall, there is still much work to be done in improving how citizenship education is understood and performed in schools in Wales. 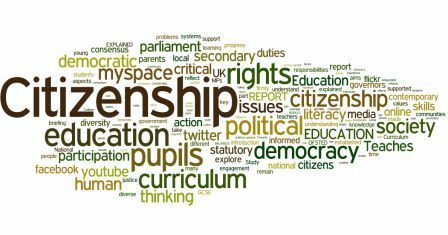 Questions regarding citizenship and its curricular treatment in schools in Wales have emerged through the WISERD Education study. Previously, we reported a finding suggesting the majority of our participants do not feel school positively affects their appreciation for living in Wales, the development of their own sense of Welshness or an increase in their interest in the politics of Wales – issues directly relating to the Curriculum Cymreig, PSE and ESDGC curricula. In our latest sweep of data collection, we repeated our questions regarding pupils’ perceptions of the impact schooling has on appreciating Wales, developing a sense of Welshness and increasing their interest in the politics of Wales. The responses were nearly identical to the responses received two years ago in our initial survey. In our most recent visit to schools, we also asked pupils questions regarding their voting preferences and knowledge of, and concern for, “world issues”—questions directly relating to the ESDGC ethos and PSE framework. The majority of our respondents believe they are “well informed” of world events. When we asked them about their sources of information, they stated Facebook and ‘family’ as their two primary sources of information about world events. Less than 25% of our pupils listed “school lessons” as a source. We also asked pupils what “world issues,” they cared about the most. Racism, homophobia, war and terrorism were some of the most frequent responses, and while these are important topics that should be addressed through PSE and ESDGC curricula, there were very few references to ‘local issues’ in Wales and even fewer mentions of localised political or civic issues or activity. In following up to these responses, I’ve begun interviewing members of the Five Nations Network, head teachers, PSE teachers and stakeholder involved in the development and promotion of ESDGC in schools in Wales. Although I’m still in the early days of this research, these conversations have already provided an important insight into how citizenship is taught in schools in Wales. My discussions with teachers have indicated that, although they had PSE and ESDGC training as part of their initial teacher training, as well as some professional development throughout their career, teachers who teach PSE and Welsh Baccalaureate do not feel adequately prepared for the variety of topics covered in these lessons. These teachers studied and received qualifications in Mathematics, P.E. and Geography, but apart from their own schooling experience, personal interests and limited exposure through professional development, they are not ‘experts’ in citizenship, sustainable development or cultural and identity studies. While these teachers continue to prepare to meet the challenges of teaching a curriculum for which they did not train to deliver, they also experience high levels of anxiety and frustration in class. So far, my research suggests the depth and diversity of young peoples’ responses regarding world events and socio-cultural and political issues seem incongruent with current curricular treatments of citizenship and democracy in Wales. Some of the PSE and Welsh Baccalaureate teachers I interviewed feel unprepared and unsupported in the subject. They also feel that more training, and even a qualification in PSE should be introduced if PSE and ESDGC are to remain important fixtures in education in Wales. These teachers want more relevant curricular and pedagogical considerations that better connect pupils to both civic and communal concepts of citizenship and democracy in their lessons, as well as the managerial and material support necessary for them to do their jobs well. Considering the importance of education in preparing young people to meaningfully engage in their communities, their local and national political and civic activities and their understanding and possible promotion of models of democracy – particularly set within the distinctive context of a further devolving Wales, our findings suggest more research is necessary to illuminate conversations of how citizenship is conceptualised and performed in schools here, with the explicit purpose of strengthening ties between curricular development, teaching and student learning and the future health of democracy and culture in Wales and abroad.